The 33rd Annual Scarborough Renaissance Festival opens April 6th and will run eight consecutive weekends (and Memorial Day Monday) through May 27, 2013. Scarborough Renaissance Festival is great family fun, 16th Century style. When guests pass through the gates, they enter the world of King Henry VIII- a time of music, merriment and mirth. Within Scarborough’s SRFestival.com 35-acre re-created English village, visitors enjoy the thrill of full combat jousts and falconry demonstrations, laugh and cheer at the non-stop Renaissance entertainment on 21 stages and the hundreds of costumed performers throughout the festival, including King Henry VIII and Queen Anne Boleyn. They discover exquisite crafts in over 200 village shoppes and are amazed by artisans demonstrating the lost arts of glassblowing, sword making, metal works and more. There are also many activities just for the kids, such as the daily Knighting Ceremony, Renaissance Rides, Amazing Maze and Human Chess Match just to name a few. Visitors can also take a break from the excitement to delight in Food Fit for a King with festival favorites like the giant roasted turkey legs, steak-on-a-stick, handmade pastas, Scottish eggs, meat pies, salads and delectable pastries from Scarborough’s very own bakery. There are also nine pubs and taverns and for the more discerning pallets, there are daily wine tastings in the all New Vinery arbor at the Cat & Fiddle Tavern, featuring different wines each weekend. The wine tastings require a separate ticket that can be purchased in advance. Free private club membership is required to purchase alcohol at the festival. 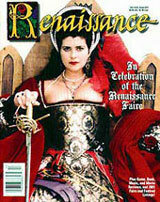 Scarborough Renaissance Festival is open on Saturdays, Sundays and Memorial Day Monday, April 6 – May 27, 2013, rain or shine, from 10 a.m. to 7 p.m. Located in Waxahachie, Scarborough is just 30 minutes south of the Dallas/Fort Worth Metroplex off of I-35E at exit 399A. From Austin or Waco, follow I-35E north to Exit 399. Admission is $24 for adults and $10 for children, ages 5-12 . Children age 4 and under are admitted free. Parking is free compliments of Waxahachie Autoplex. Tickets are available on-line and discount tickets can be purchased at Dallas/Fort Worth area Tom Thumb or Austin area Randalls stores. The festival is sponsored by Dr Pepper. Archaeologists have unearthed a 'Black Death' grave in London, containing more than a dozen skeletons of people suspected to have died from the plague. The victims are thought to have died during the 14th century and archaeologists anticipate finding many more as they excavate the site. The Plague is by definition a re-emerging infectious disease which affects the lungs and is highly contagious, leading to mass outbreaks across populations. History shows us that population levels suffered globally due to the plague, with around 75 million people globally perishing during the 14th century Black Death. A new study, published in Infection, Genetics and Evolution, analysed the Great Plague of Marseille, which caused 100,000 deaths between 1720 and 1723. The researchers aimed to highlight issues we are facing with infectious diseases today, to identify the best ways to respond to epidemics and whether we are still at risk of the plague re-emerging again. Results show that a number of factors show we are still at risk of plague today. This is largely due to transport trade and novel threats in developing countries where multi-drug resistant pathogens are currently emerging and spreading rapidly. This genetic change has also contributed to a development in the way the bacteria infect new hosts meaning they can now live in mammalian blood. The study also highlighted the need for effective management of epidemics in future. Fear of in infection can have a negative impact on a population's economic situation due to a significant loss of tourism, and widespread panic. History has shown us that providing the necessary information about diseases and improving the management of epidemics are vital steps for avoiding panic and containing diseases.